Amanda Dannemiller had long known she wanted to get a master’s degree. She was closing in on 10 years of working as a process engineer when a pull towards management told her it was time to do it. Dannemiller began looking into MBA programs “because that seemed to be the standard choice,” she said. “But, I just didn’t feel excited about any of them." When she discovered the Professional Master's in Manufacturing Leadership (PMML) at Georgia Tech Professional Education (GTPE), she knew she’d found what she’d been looking for. “It had the right level of perspective and the right skills for me at this point in my career. And it really mattered to me that it came from the Georgia Tech College of Engineering." 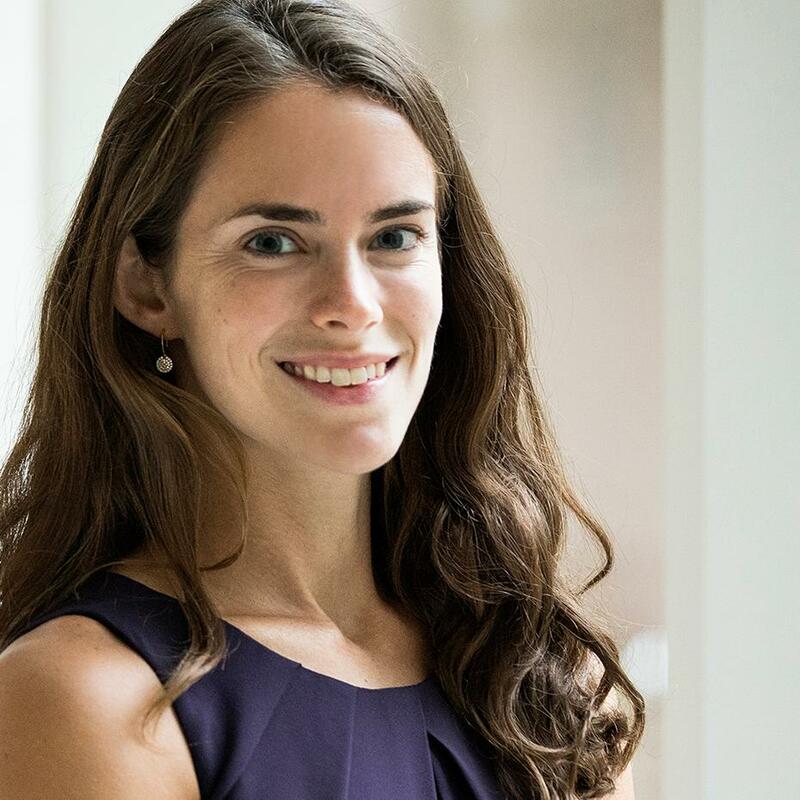 With an undergraduate degree from Georgia Tech already under her belt, Dannemiller embarked on garnering a professional master’s in 2016, joining the program’s second cohort of learners. The plan was to continue in her job as a lead process engineer at Alcon, which makes contact lenses, while taking classes for two years. After that, she hoped there would be an opportunity to deploy her new skills. She didn’t have to wait that long. Eight months into the program, a new production manager position was created at Alcon in the company's newly formed chemical manufacturing department. Despite limited experience, Dannemiller went for it. “I was one of six people who applied for the job, and I had the least managerial experience and the least work tenure,” she recalled. “My supervisor had put me in a development role over a group of two people. That was my sole leadership experience!” She laughed. Just like that, she went from managing two people to a team of 37. For the first several months, Dannemiller went full throttle, pulling 10 to 12-hour work days, every day. “I really threw myself into it,” she said. “It wasn’t just a new job. It wasn’t just a step up. It was creating a department from scratch.” And she still had school and family to fit in. That shot of confidence combined with the new ideas presented in her classes opened up possibilities in real time. “Within the program, we got a lot of perspectives on different options from different companies and industries,” and that broadening of vision “really freed me up. Not only about what is possible, but about who I want to be." Leadership style is of top importance to Dannemiller, and a life-changing moment came while reading an assigned case study of Bob Chapman, Chair and CEO of Barry-Wehmiller Companies. Intrigued by his humanist approach, she wanted to learn more and pursued further reading. There, she found her role model. Chapman notes that everyone is “someone’s precious child,” a concept that resonated profoundly with Dannemiller. Considering a person who works for her not just as an employee, but as someone’s precious child meant treating them in a way their parents would want them treated. It’s a high bar. She admits that in a larger organization it can be difficult to know individuals personally, but there are ways to incorporate caring into leadership: being available and open to feedback, providing meaningful work, proving that she can be trusted. The fulfillment she felt in her new position helped ease the burden of her schedule, but it was still a heavy one. Making it work required letting go of detail on the home front and focusing on the important things. Married with two young boys, Liam and Alex, Dannemiller said it boiled down to: “Are the boys clean, fed and dressed? Yes. Are there dust bunnies wafting across the floor? No. Then everything else we can let go and it will be okay.” She vowed never to take a day off to do anything school related, saving all vacation time for family. Saturdays were sacred, always spent with her boys. The flexibility of the online program also helped. She was able to block off after-dinner hours for studying. Sometimes that meant setting up on the bed with the kids watching movies or playing on tablets next to her. During one video conference, Alex, her youngest, came out of the bath, dropped his towel and flashed her class. Dannemiller laughed at the memory, adding that the camaraderie among her fellow classmates was an unexpected bonus. Program Director Jennifer Wooley called them “the jokey joke cohort.” The connection extended beyond humor: they gave each other advice, collaborated on projects, shared life events. But such equal footing was not always the case. As a woman in a male-dominated field, some of what Dannemiller experienced early on in her career was surprisingly stereotypical given that it was happening in the 2000s. "One time, as I was introducing myself to a colleague, he almost called me ‘little lady,’" she recalled. "He caught himself mid-sentence and switched to ‘little engineer.’” Another time, she was mistaken for an admin assistant by an outside contractor who visited her office, where her engineering diploma from Georgia Tech was hanging on the wall. Listen to Amanda talk more about the importance of leadership in the video below.